I have no recollections of the wall or living in a divided Germany. For me, it was quite normal to go East Germany, both during my early childhood and later in my teenage years when my parents took my sister and me there not only but especially on October 3, the German Unity Day, to discover places they had never been to themselves because during the Cold War, there was no such thing as simply popping over the border for a bit of sightseeing even if you lived just a few kilometres away. So without much further ado, here are ten castles I covered on this blog but wouldn't have been able to visit before the fall of the wall. The most recent castle I visited in what used to be East Germany was Schloss Glienicke on the outskirts of Berlin. Originally a home of the Prussian royal family, it was later used as a school and hotel before being turned into a museum. Another palace laying in the Eastern part of Berlin is Schloss Schönhausen. The first East German president, Wilhelm Pieck, used the palace as his official seat while living elsewhere. It was later turned into the official guest house of the GDR and was officially called Schloss Niederschönhausen. Fidel Castro, Indira Gandhi and Mikhail Gorbachev were some of the guests who stayed at the palace. Weimar is a rather small town with a big history, after all it was the home of Germany's arguably greatest poets, Johann Wolfgang von Goethe and Friedrich Schiller. Schloss Belvedere is located on the outskirts of the town and is surrounded by 43 hectares of parkland. Without a doubt one of the most beautiful places I have visited in what used to be the GDR was the Schweriner Schloss last year. Today the seat of parliament of the German state of Mecklenburg-Vorpommern, the "Neuschwanstein of the North" used to be the residence of the Dukes of Mecklenburg and Grand Dukes of Mecklenburg-Schwerin. 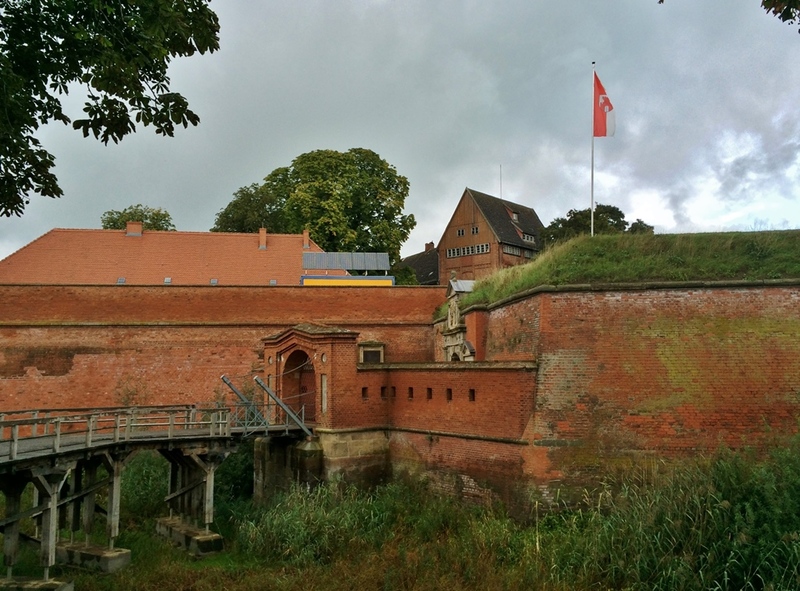 Also located in the state of Mecklenburg-Vorpommern in the Festung Dömitz on the bank of the Elbe river. It was located so close to the Inner German border, that it wasn't widely accessible for much of the years of the German division. Schloss Blankenburg is one of the castles I have seen that were hit hardest by the division and especially the following years. A former home of the Guelph family, it was used as a chool for domestic trade though its dimise came about after the reunification as nobody felt responsible for the upkeep. The same goes of the Kleines Schloss, or small palace, in Blankenburg. It is a sad fate shared by many castles in East Germany as the Soviet occupying forces had dispossessed all nobles in the late 1940's and non of the properties were later given back to their original owners. 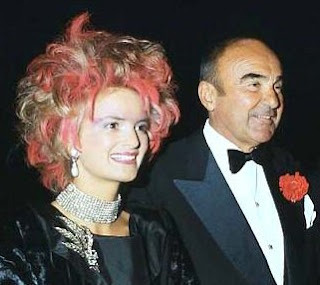 For more on the matter, have a look at this old CastleTalk. When visiting Blankenburg, I also saw Burg Regenstein closeby. Surrounded by lush green forests, the castle was built on a 294 metre high sandstone rock towering over the surrounding area. Once a strong fortress, only a number of internal rooms carved into the stone as well as parts of the keep remain to this day. Schloss Stolberg had a similarly eventful history as of late. 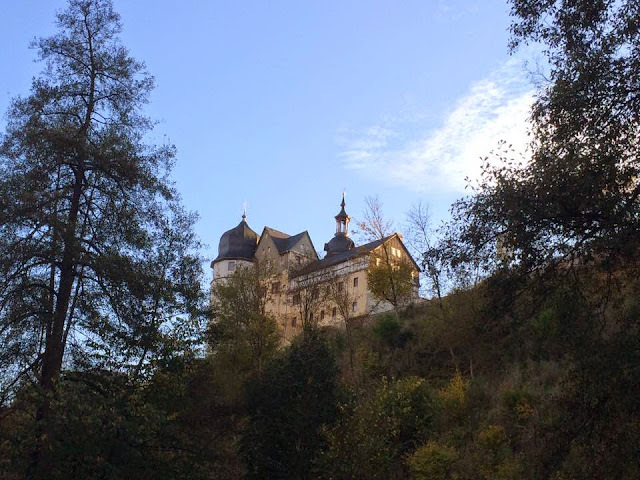 Built by the Counts of Stolberg, the family remained the owners of the castle for more than 700 years until they were dispossessed by the Soviets in 1945. Starting in 1947, the Schloss was used as a holiday home for workers by the East German government. 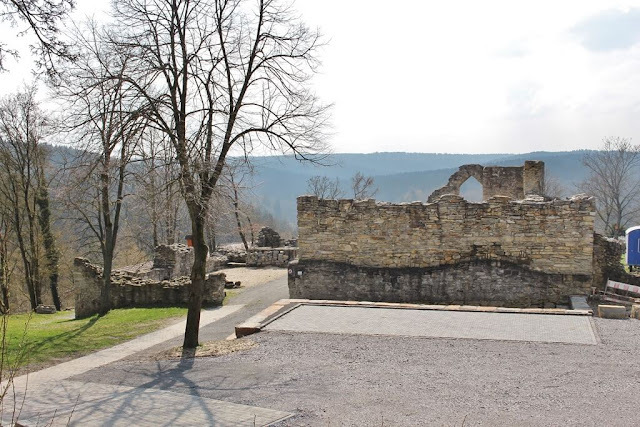 In 2003, the German Foundation for Monument Conservation took over possession of the castle after an agreement with the state of Saxony-Anhalt and is now running a museum there. And last but very certainly not least: Schloss Wernigerode, the very first castle I ever covered on this blog. After the Second World War, a Feudalmuseum (feudal museum) was established in the castle by the government of the German Democratic Republic to show their people just how bad the aristocracy had once treated their subjects. Today, it houses a regular museum about the castle's eventful history. If you check out my CastleMemories, you will also find a few additional castles I visited in what used to be East Germany, including some of the beauties of Dresden and Potsdam. While visiting castles certainly isn't the most important thing that the fall of the Berlin Wall has brought, these ten places - and the fact that I visited them - still serve as a reminder that freedom of movement and otherwise is never a given!